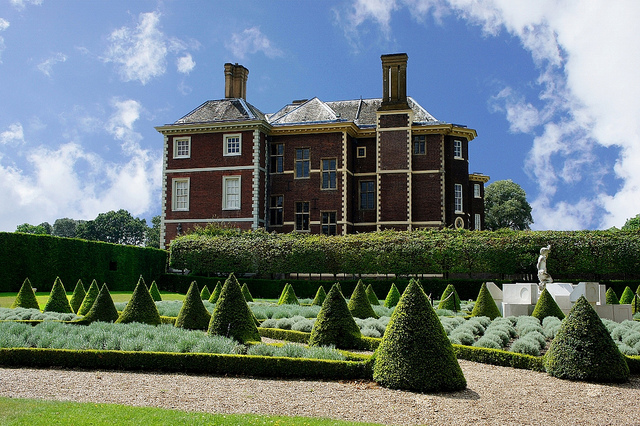 Ham House, Richmond, is a National Trust owned 17th century property in London. Arriving at the house you find yourself on the bank of the River Thames, rowers gliding past. Here in the city of London is an oasis of calm. A fine stately house sitting in its own beautiful riverside grounds, with an avenue of trees leading you to its entrance. Who would have thought you would find this in Zone 4 of London? It was a hot day when we visited and we were very glad we had skipped the tubes and the crowds of the central London attractions and headed to this tranquil spot instead. The house has an intriguing history. It was given to a courtier of Charles I named William Murray. Murray had grown up with Charles and had been his whipping boy. Until visiting Ham House I had never given thought to what this phrase actually meant. Princes were above punishment so, to ensure good behaviour, if the young royal misbehaved his whipping boy would be punished. A prince and his whipping boy often formed a close relationship and so the prince was discouraged from bad behaviour by concern for his friend. I don’t know to what extent Charles I misbehaved or how much William Murray was whipped, but he was given this fine house as a gift for his troubles and marks the strength of the relationship between the prince and his whipping boy. The principle that royalty were not punished ran into the buffers when, as an adult, Charles I was executed – I wouldn’t want to be the whipping boy for that. William and then his daughter Elizabeth set about furnishing the house and decorating it to be one of the greatest Stuart houses. The house passed down from Elizabeth for over 300 years until it became part of the National Trust in the 20th Century. Now it’s a wonderful place to visit and a great place for a family day out. We expected to stay for a couple of hours and ended up staying all day. The interior of the house is as grand and lavish as the exterior would have you expect. As well as the fine artworks and furniture accumulated by Murray and his daughter, you can visit below stairs and see the kitchens and servants’ quarters. This is always popular with me as my own grandfather was a butler in mansions and stately homes across England and I am always interested to see where the servants lived and worked. For me it brings a house to life to see both parts of it, the upstairs and below stairs and to contrast the lavishness of the owners’ way of life with the austerity of the servants’ world. An ice house, a herbal apothecary and a dairy complete the range of buildings. Ham House has extensive lawns to the rear, popular with my children for running and doing cartwheels. 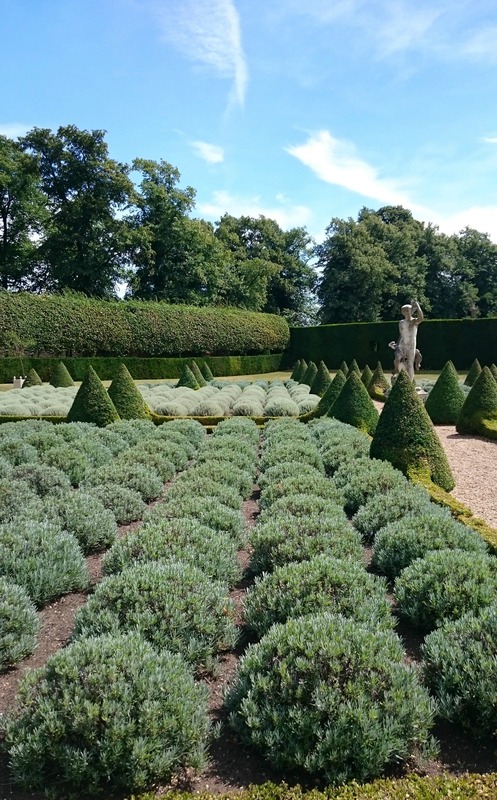 It also has the most beautiful and fragrant lavender parterre garden, punctuated with conical box hedges. In the gardens there are a number of very attractive little picnic houses and my girls really loved looking in these and playing hide and seek in them. Ham House is also famous for having the oldest orangery in Britain. The owners of Ham House certainly enjoyed finding ways to enjoy their home and gardens. Children’s trails, Easter egg trails, crafts and even ghost tours are on offer, see here for further details. 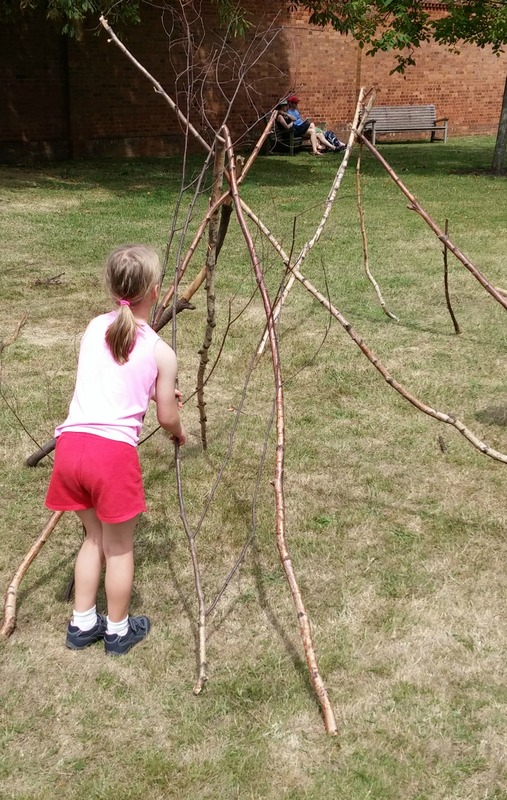 My children love building dens and, lucky day, when we visited den building was one of the activities laid on. For us no visit to a National Trust house is complete without a cup of tea and a scone and here you can sit outside in the pretty gardens and admire the views around you whilst you partake. We spent the whole day at Ham House, enjoying the fine house, the beautiful gardens and the many things to do. On a sunny day it was a perfect way to enjoy one of London’s finest residences. This post is in no way endorsed or sponsored by any of the organisations mentioned. CC licence. Ham House is great. I love the way it backs (fronts?) onto the Thames. That’s how we found it first, actually. We were ambling down the river and suddenly… mansion! What a great surprise discovery! I hadn’t realised that whipping boys and royals became friends, therefore I never quite understood the concept. Very interesting that the whipping boy was given this huge house. 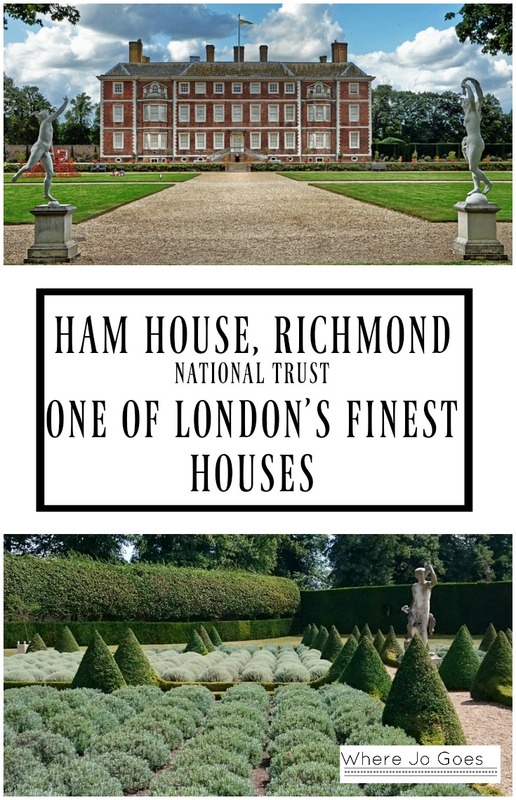 I hadn’t heard of Ham House before. Sorry I missed it when we were in London. I’m guessing he must have either become a great friend or there was a lot of whipping for him to end up with this house! The whipping boy is such a grim idea! It worked out well in the long term in this case though, the house and gardens are beautiful and the kids were entertained exploring the garden for hours! I know! There are so many! I haven’t been to Cotehele, thanks for the recommendation! It’s a hidden gem I think. On a hot day it was so much nicer than heading on the tube into London. We’re lucky to have an NT property 10 mins from our house that we go to a lot. 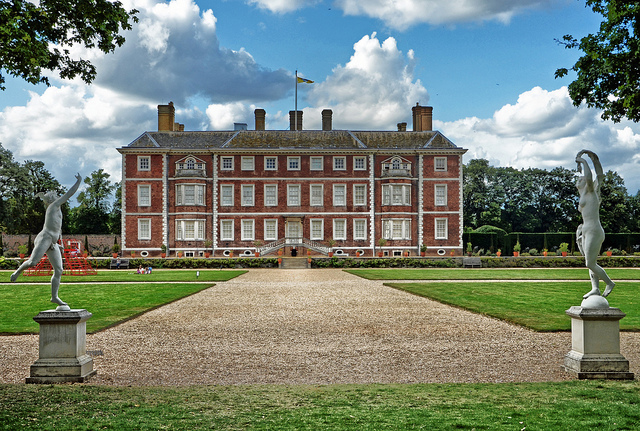 Ham House was a real find and made a change from heading into the centre of London. Thanks for reading. We stayed a lot longer than we expected it was so lovely and the kids were having such fun exploring the grounds, playing hide and seek and doing the craft activities they had in the house. Thanks for reading. It was a heatwave the day we were there, so much nicer than heading into central London. What a beautiful place! We love visiting lavish estates and royal homes and this one is great especially that garden. I love that they have activities for kids. Wow, I guess that was the least Charles I could give his whipping boy. This relationship sounds so interesting I may need to read up more. The whipping boy arrangement is really shocking to us today! I’d not really come across it till I visited Ham House. Thanks for reading. Perfect for little ones lots of grass to run about on! Yes and it would smell heavenly! It makes a nice change from the central London activities. What a wonderful sounding visit, it is so lovely when you plan a short visit and it ends up using the whole day. I used to do a running route that led up to the gates of Ham House years ago, I never got beyond those iron gates so I’ve really enjoyed reading a little of what happens inside. It sound like in true National Trust style there are some great family activities to take part in and an interesting history to the house too. Thanks for hosting. What a lovely area to go running! Now that is a beautiful house! I love the photos. Drooling over how lovely the Architecture is. The place looks massive and yes it does look like an oasis in the middle of the city. The topiary garden is really special. We spent so long enjoying the gardens we had to dash around the house in an hour! The whipping boy is such a harsh concept for us to understand. I know he got Ham House in the end but it must have been a very hard life as a child! Thanks for reading. This looks like a great day out, the gardens look beautiful!